Lava, a famous mobile manufacturing company for the first time have stepped into the touch screen market with itsLava A10. The company assures the new handset's efficiency being latest technologies inculcating to it. Lava A10 is a Dual Simhandset that is to support two different GSM Sim at the same time thus facilitating its users and solving the problem of caring two different handsets. The screen of thenew mobile phone is been equipped with IPS panel that ensures image clarity, angle viewing of the images and also color accuracy to its users and is generally used by the Apple iPhone4 screens. 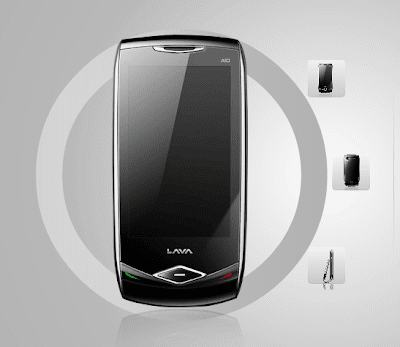 The display screen of the new Lava A10 measures 3 inches supporting a resolution of 240*400 pixels. An efficient camera of 3.2 mega pixel is accommodated to the new handset with LED flash that assures picture clarity with an eloquent resolution. To make the transferring of data easier and faster, Lava A10 is made able to support EDGE/GPRS connectivity and Bluetooth connectivity with A2DP. Thinking for the entertainment of users, the company also accomplishes the mobile with a MP3 and MP4 music player with onboard Yamaha Amplifier. With the above mentioned camera the users can also enjoy viewing video recordings. Lava A10 is to operate supporting Java applications. 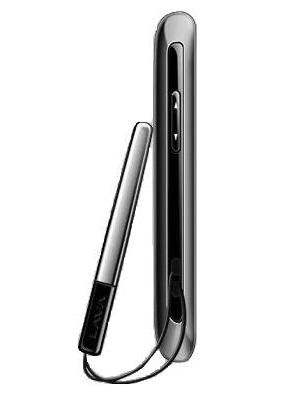 The candy bar styled handset is made able by the company to support automatic screen orientation with the help of a G-sensor which is been inculcated to it. The multimediaLava A10 is stuffed with applications like Opera Mini, Facebook, Twitter, Nimbuzz, etc. The phone is made efficient to support web browsing as well. The memory of Lava A10 could be expanded up to 16 Gega Bytes supporting the MicroSDcard slot. The company having loaded the handset with latest and most efficient features fixes the new mobile phone with a price tag of Rs 4,649 only making it completely affordable for the general public.